We’re excited to announce that Altra Running will be the presenting sponsor of the 2016 Trail Runner Trophy Series! What does this mean for you? With Altra’s support, we’ll be sending the Trophy Series runner who logs the most miles in 2016 to the Ultra Fiord race in beautiful Patagonia. That’s not all, though. The person who finishes the most Trophy Series races will be featured on the March 2017 cover of Trail Runner. And top finishers in other categories will receive prizes, in the form of trail-running gear, totaling over $28,000. 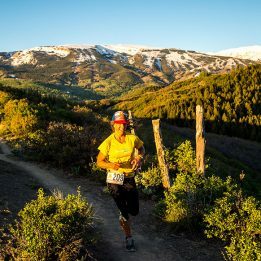 The Trail Runner Trophy Series, now entering its 12th year, is a points-based series of 200 independent trail races across the United States and Canada. (Find a race here.) It started as an opportunity to work with races, develop Trail Runner‘s audience and presence in the sport and forge a grass-roots connection with individual runners. The last two years have seen a spurt of engagement: the number of races has increased by 33 percent, and more and more runners participate each year. Across the continent, Trophy Series runners compete with one another, racking up points for each finish. 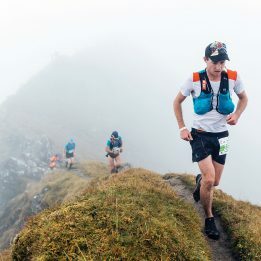 In addition to the Mile Mogul (most miles) and Trail Fiend (most races), runners compete in non-ultra (distances below 26.2 miles) and ultra (marathon and longer) categories. Age-group winners in the non-ultra category and the top three male and female ultrarunners will receive prize packages from Altra and other Trophy Series sponsors. There are opportunities for back-of-the-pack runners to win prizes, too. Starting in April, we’ll ask Trophy Series participants to post their favorite photos from training sessions and races using the hashtag #TrophySeries2016. The best photo each week will win a prize. Along with presenting sponsor Altra, the other 2016 Trophy Series sponsors are Adidas Outdoor, Icebug, Nathan Sports, OS1st, Kammok, Honey Stinger, Osprey, Pro-Tec, Lifestraw, GoMotion, Buff and DeLorme. Trail Runner is the leading North American publication covering the sport of off-road running. 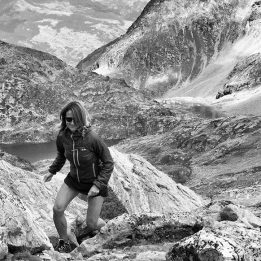 Through gear reviews, training tips, stunning photography and compelling stories about the people and places that make trail running what it is, Trail Runner speaks to athletes of all ages and experience levels. Altra Running is now the fourth-largest trail-running shoe brand sold in running specialty and have three of the top seven trail-running shoes, according to data from NPD: the Altra Lone Peak, Superior and Olympus. Altra’s running-shoe innovations are born from long, hard runs in the Wasatch Mountains, just minutes from Altra’s Utah headquarters. Founder Golden Harper, a former All-American runner who loves to race trails and run to the top of difficult summits, invented a cushioned Zero Drop platform and a foot-shaped toe box, features that are now found on every Altra shoe. 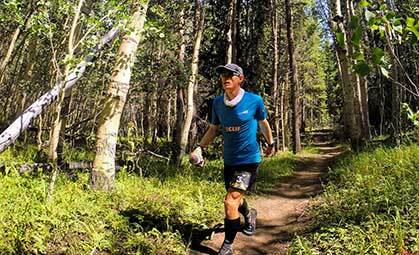 Co-founder and VP of Sales Brian Beckstead finished UTMB and the Wasatch 100 in 2015 and will race Eco-Trail Oslo and the Hardrock 100 in 2016. Follow @AltraRunning and #ZeroLimits on Twitter, Instagram and Facebook. PR Contact: Colleen Logan, VP Marketing, clogan@iconfitness.com. Altra® Footwear and iFit® technology are registered trademarks of ICON Health & Fitness, the world’s leading health and fitness innovator, based in Logan, Utah.